D. D. Line is an aspiring writer who lives in a coastal town in Western Australia with her family, a curious cat, and two pups who are trying to dig their way back to Queensland - (we're Sunshine State ex-pats). While she's familiarising herself with a sun that sets over the ocean instead of the land and a 'North' that is decidedly pointing in the wrong direction, she's embracing all the beautiful western state has to offer. Reading was her favourite past time in her formative years. In her senior year, thanks to a crush on her English teacher and a deep desire to impress him, she developed a love of writing that has sustained her throughout her adult life. 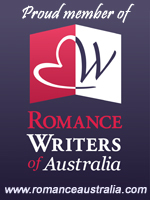 Since then, she’s won a few competitions, had short stories published in both local and state-wide publications, and is currently Romance Writers Australia's (RWA) Aspiring e-Loop Ambassador. D. D. Line writes across genres including Contemporary Romance, Fantasy, and Contemporary Suspense. Her favourite is Paranormal Romance.